Knee replacement surgery is a big decision and a big operation. By the time you get to the point of considering having your knee replaced by an artificial one, it is likely you have had increasing pain and decreasing function in the knee. Total knee arthroplasty (knee replacement) helps millions of people regain a more comfortable and more active lifestyle. In the United States alone, well over half a million knee replacement surgeries are done each year. Obviously, you would not undertake such a major operation unless the symptoms and medical condition really warranted it. But, how do you know when it's time to start thinking about a total knee replacement? At some point, if you are considering knee replacement, you have seen a doctor for your knee pain (or should start there). Likely, you have already taken anti-inflammatory medicines and perhaps some herbal supplements. 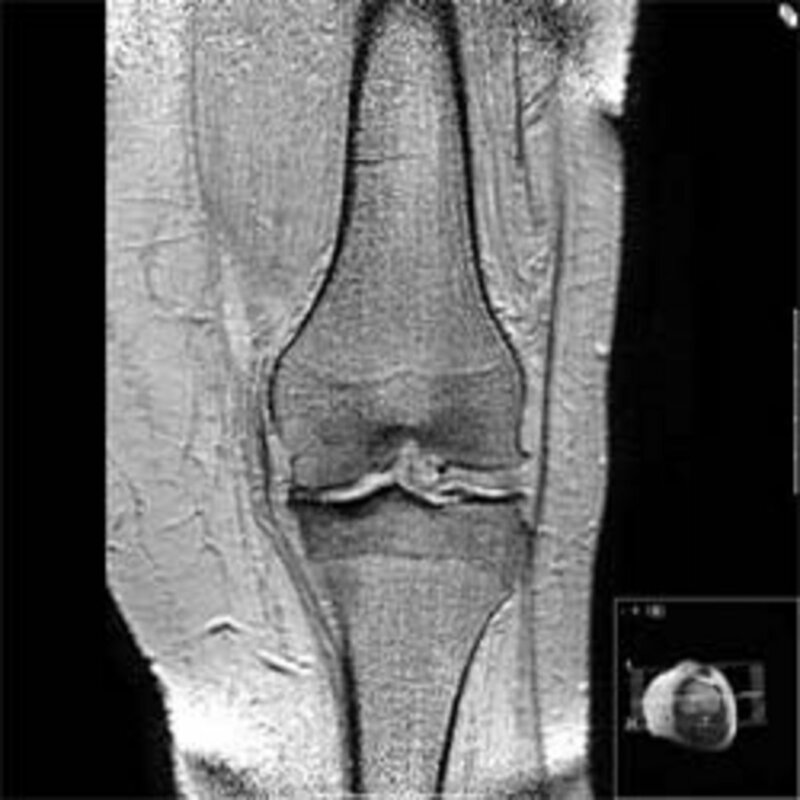 Your knee may have a film library of its own from the X-rays and MRIs and you may have undergone injections with impossibly large-seeming needles. Arthroscopic surgery may also have been done to try to help improve symptoms and stave off major surgery for a while. And, while these measures can improve pain and buy time, at some point, knee replacement may become the best option for recovery of pain and function. You fully understand the limitations and requirements of having an artificial joint, including that some activities will be restricted and the joint may not last a lifetime and require re-replacment. Because a prosthetic (artificial) knee has a limited life span, total knee replacement often will be put off as long as possible. Other options can help 'buy time' until total knee arthroplasty (TKA- another way to say total knee replacement) becomes the only or clearly best option. Injections into the knee are done often to help alleviate inflammation and swelling. In addition, there are now solutions (containing hyaluronate) that can be placed by injection into the joint to help lubricate it and provide some cushioning--and much needed relief. 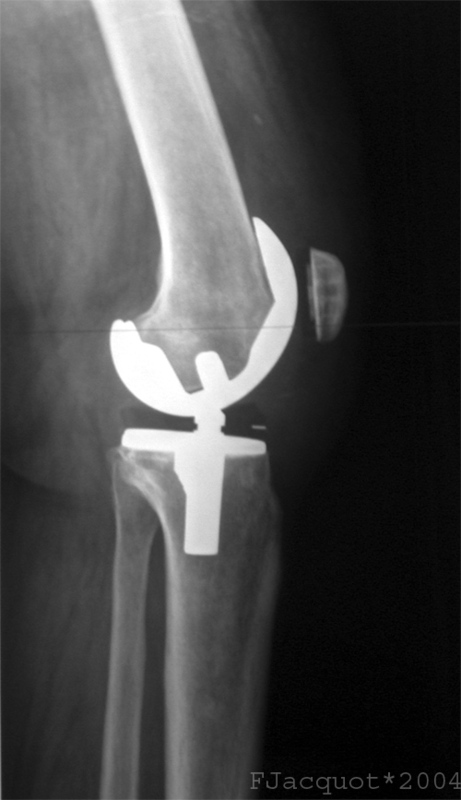 In addition to total knee arthroplasty, operations can be done to replace only part of the knee. They may be referred to as "partial knee replacement", or "unicompartmental knee replacement". These also don't last a lifetime, but are a less severe operation with an easier recovery. 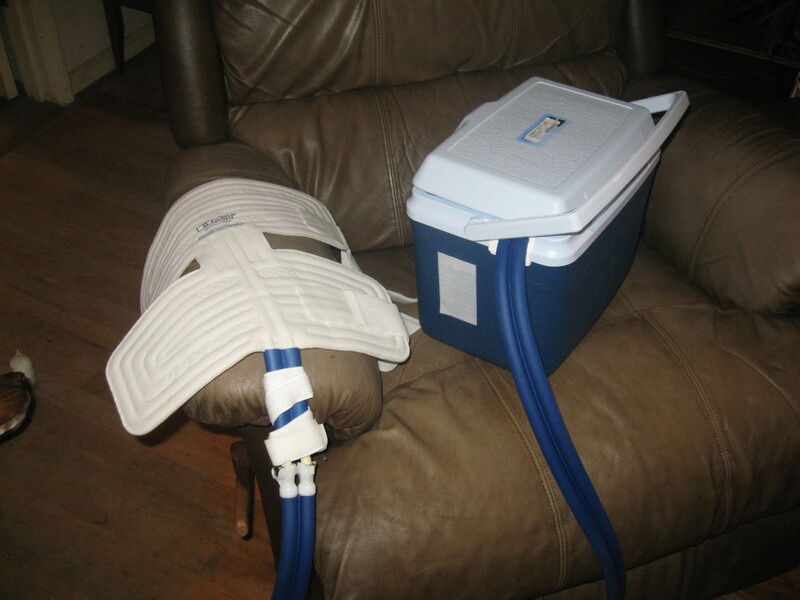 It is easier, then, to replace this with a total knee prosthesis at a later time if needed. This partial knee replacement may be more suitable for younger patients, women and in select other situations. If you would like to know more, be sure to discuss this option at length with your orthopedic surgeon. Orthopedists or orthopods, as they are called, are surgical specialists who are trained in diagnosis and treatment of musculoskeletal problems. As always, personal referrals are a good source to find an orthopod. There are orthopedic sub-specialists who focus on specific joints or specific body parts, so referrals from people who have had the same problem or the same procedure are most useful. Orthopedic surgeons spend many years training in their field and board certification in the specialty should be sought. Once you think you are headed for knee replacement surgery, there are things you can do to help yourself do well during and after the surgery. Exercise as tolerated by knee pain. Visit your medical doctor and let him/her know you are considering surgery. Find out if you have any medical issues that need to be investigated or treated. Take medications as directed to keep things like high blood pressure and diabetes under optimal control. Find out if your orthopedist's service offers preop education classes so you can start arranging for postop and rehabilitative care. Before the day of surgery, make sure you have spoken with the preop nurse or anesthesia service and have provided all necessary information. Double check that you have had all requested blood work and other tests done and that the results were normal or acceptable for surgery. Show up on time, having showered and followed all instructions about when to stop eating. Be patient and flexible if there are delays. Emergencies will sometimes change the schedule a bit. I always say "it's better to wait for the emergency than to BE the emergency". Maintaining a peaceful, positive attitude will help you going into, and coming out of, surgery as well. This day will be very busy and active. Nurses and doctors will be doing a lot of preliminary work to make sure you are ready for surgery. You will be asked many times to recite your name, date of birth, allergies and procedure. The doctor will mark the CORRECT side before you receive any medications. An intravenous (IV) line will be placed and eventually, you will be taken to surgery. Before this, the anesthesiologist should visit you and discuss your options for anesthesia and pain management with you. 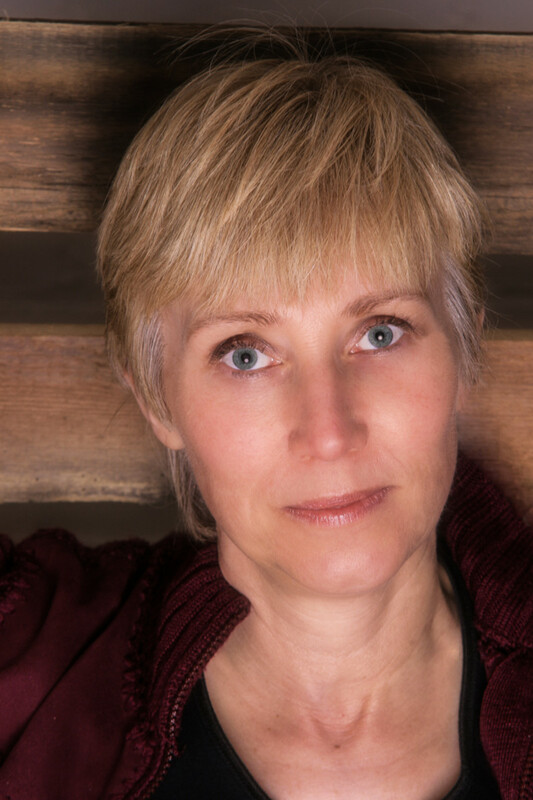 TahoeDoc is a board certified anesthesiologist. Nothing on this site gives or implies medical advice. The content presented here is for informational purposes only. Consult your doctor for questions related to your specific situation. Hopefully, you will learn a bit about your anesthesia options before the morning of surgery. Some centers have this capability and some do not. Be prepared to potentially hear about, and decide on your anesthesia right before surgery. The main options for anesthesia for the surgery itself include general anesthesia and regional anesthesia techniques. General anesthesia means you are unconscious for the surgery and thus, can hear nothing, see nothing and feel no pain. While it is referred to as being 'asleep', it is true unconsciousness and much more like a 'coma' than nighttime sleep. Regional anesthesia techniques include spinal and epidural anesthesia. The actual choice will be influenced by your preference, your surgeon's preference, the anesthesiologists input, the usual practices of the hospital, the anticipated length of the surgery and other factors. You may also be offered a nerve block (such as a femoral nerve block) to help with pain relief for the first day after surgery. You will need to make arrangements and modify your home a bit BEFORE surgery, so it is ready when you get home after surgery. You will likely need some help getting around, and won't want to be alone until you make sure you can get to everything you need safely. Walking will be recommended and required, but there will be some limitation of movement at first. Bending, squatting, and such will be difficult. Keeping important items within easy reach is helpful. Also, any hazards or obstructions should be moved away from walking paths inside and outside the home to decrease the risk of trips and falls. Physical therapy helps recovery and starts while you are still in the hospital. Recommendations for PT after will be made and visits to a therapist can be arranged prior to surgery, or shortly before or after discharge from the hospital. Pain medication is prescribed in advance of when it is needed. You will be instructed to take it before the pain becomes severe and more difficult to control. Keeping the pain level tolerable makes recommended activity more comfortable and more likely, speeding recovery. My Mother and Sister both have had this surgery done. I to am going through getting shots in my knee and expect to have this surgery done sometime in the future. Thanks for this informative hub. I have so many friends who are big into sports and have had to have this surgery - or something similar. It's a scary idea, but I do know they were greatly helped from it. 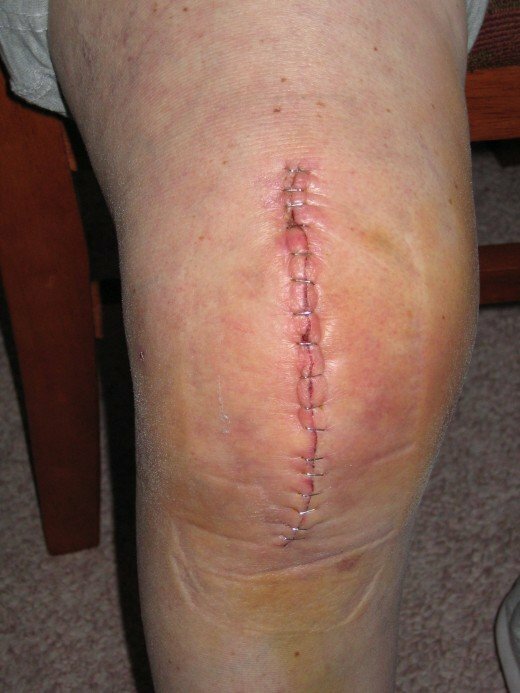 A few years ago, one of my employees (a wonderful, talented & caring nurse) had to get her knee replaced. She actually needed both done, but had only one at a time operated on. She always had a smile on her face, even before the surgery. But after the first surgery - she looked so much better - there had been a degree of stress and tension from the pain that we didn't notice because of her constant smile, and it had completely disappeared. I felt so badly that she had suffered to that degree. She looked like a new person, literally. I watched a program showing a lady having a knee replacement with regional rather than general anaesthetic. She was so blasé she wan't to see what the surgeons were doing. If it was happening to me I'm sure I'd want to be looking the other way! TahoeDoc, needing surgery can be a scary thing. It is nice to have information. My mother and sister-in-law had this procedure performed and they are doing well right now. Unfortunately, just from observations I can see that a lot of people will be needing this surgery in the near future and many of them are relatively young in age. Good hub. Voted up, interesting and useful. This is a very interesting hub on knee replacement. I can identify with it to some extent as I have a hip replacement which worked out very well. I also know of people who have had very successful knee replacement surgery. Thanks for sharing this hub.